Learn the importance of the parent-child relationship and how to keep it strong. Learn how to be the best parent you can be. Learn how to manage your child’s emotions and your own response to them. 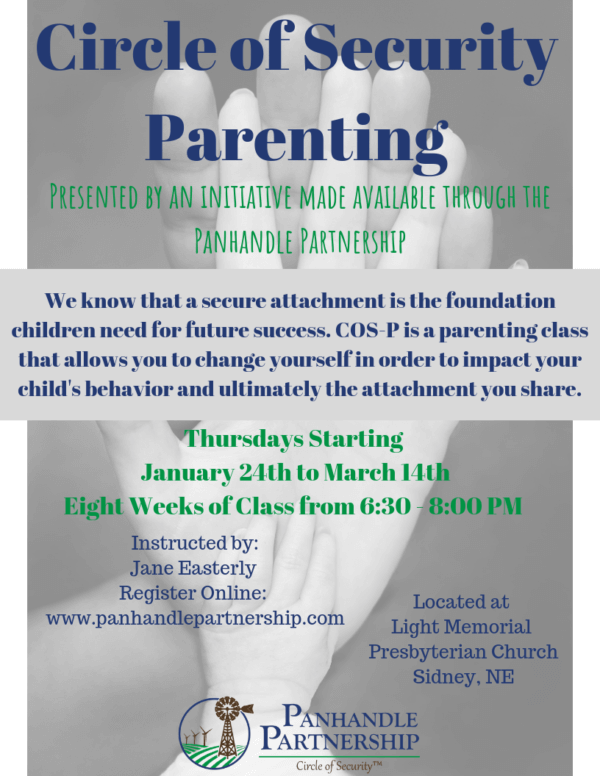 Learn step-by-step ways to develop secure attachments with your child that will last a lifetime. Learn how to “be present” with your child during the best and toughest of times. This class will be weekly starting January 24th and ending on March 14th.